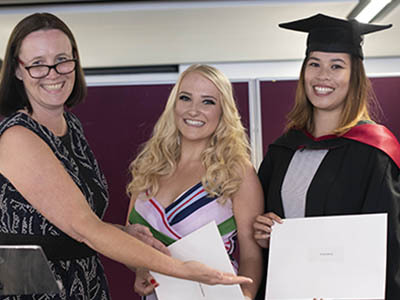 Our 2018 summer graduation took place last week, 19 July, celebrating the fantastic achievements of our MB ChB, Masters and PhD students. 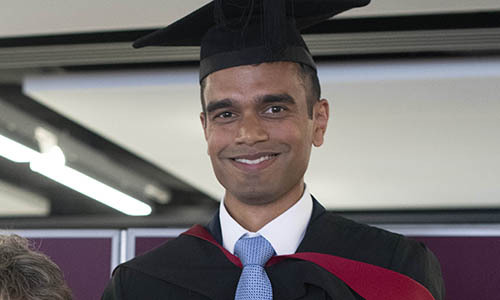 The day kicked off with a special breakfast event hosted by our Dean, Professor Sudhesh Kumar, for our MB ChB students graduating with Honours. 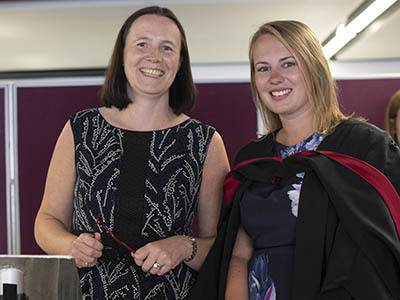 Following the morning's degree ceremony in the Butterworth Hall, all of our new graduates were invited to join us for a celebration lunch in the Rootes Building, where special prizes were awarded for graduates who had excelled during their time at Warwick. 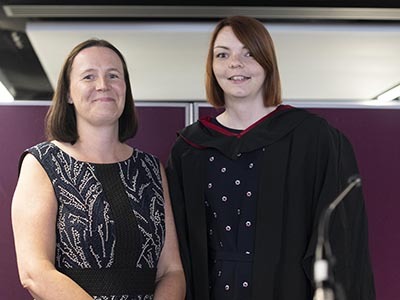 The Yvonne Carter Prize is awarded each year to the final year student who, in the opinion of the Pro Dean Education and Head of MB ChB, has excelled at a discipline outside of their medical studies or has contributed to the life of the University of Warwick. This year’s prize was awarded to two winners: Jennifer Ip and Alice Ridgeway. The winners are both accomplished ballroom and Latin dancers. In 2016/17 they were elected as joint team captains of Warwick University Latin and Ballroom Dancesport Club and during that year they taught classes every week, particularly to beginners to help them improve and develop their passion for dance. They organised competition weekends and looked after all the competitors through the highs and lows of each competition day. 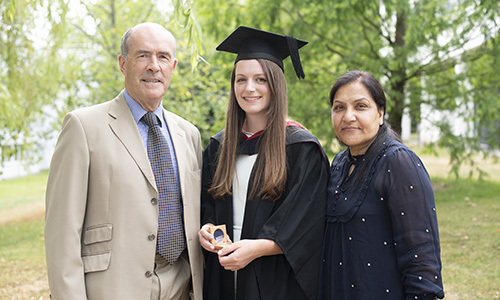 The Harjinder Singh Medal is awarded to the student who had the highest total percentage for written and clinical examinations. The Henry Parsey Psychiatry Prize is given for excellence in Psychiatry. The Faculty of Medicine Clinical Prize is for the student with the highest total mark for clinical examination. The Faculty of Medicine Written Prize goes to the student with the highest aggregate percentage in total over the two written papers. 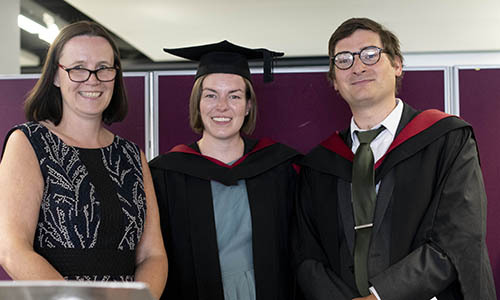 The low resource setting prize was this year awarded in the memory of a dear friend and colleague of Warwick Medical School, Debbie Ranger, who sadly passed away last year. Debbie loved to travel and had many adventures herself overseas in her all too short life. 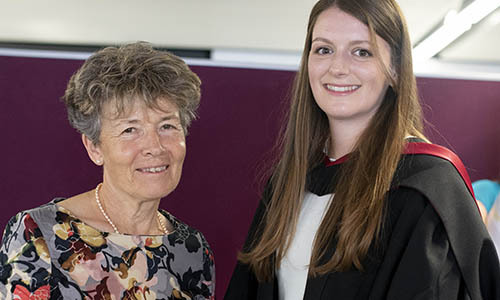 She loved working at the Medical School and being involved with the MB ChB programme, which she annually volunteered to be part of the selection process for. The winner of the first Debbie Ranger Elective Memorial Prize, Dr Amy Hart, chose to undertake an elective in emergency medicine and paediatrics in Pokhara and Nepal as she wanted to experience first-hand the impact of resource scarcity on healthcare provision and to experience different cultural attitudes to healthcare which broadly differ from those in the UK. The resulting report was a reflective piece set in the context of the different and multiple cultures of Nepal and it is obvious that the experience gave much opportunity to reflect on prioritisation when resources are lacking. Kassia chose to undertake her project in two locations - at UHCW and Royal London Hospital - in order to gain a broad and contrasting array of experiences in two healthcare environments. Despite the UK setting, this elective exposed Kassia to medicine under some very difficult conditions as she undertook work with the air ambulance fast response car. 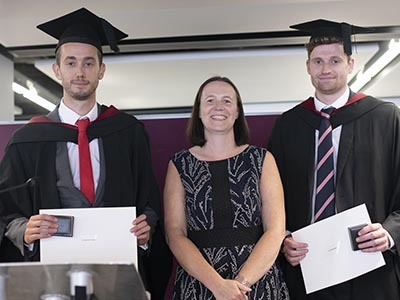 The Pridgeon Research Prize is awarded to the graduate(s) who have undertaken research of the highest quality as selected by the Head of Medical Education, the Director of Postgraduate Research and the Pro Dean Education. Luke was chosen as a winner thanks to his strong portfolio of research outputs including a first author review paper on atrial fibrillation published in Clinical Focus Primary Care; a paper in the international journal of cardiology reporting an analysis of WHO global health estimates data, which outlines the changing face of cardiovascular disease over a 12 year period; and a case report in the British Journal of Hospital Medicine again in the area of cardiomyopathy and atrial fibrillation. Sam was selected as joint winner of this prize based on the overwhelming support received from his peers alongside an emerging and well disseminated work stream in altitude medicine. He was the driving force and founder of the Warwick Altitude Research Group. Congratulations to all of our prize winners, and to all our new graduates! We wish you the very best of luck for the next step in your career. Our professional photographer captured photos throughout the day - you're very welcome to download any you'd like to keep as a special momento of your day. They're large files, so they might take a while to load. To download images, right click and select Save As (or Save Image As).